Set of 5 pcs. 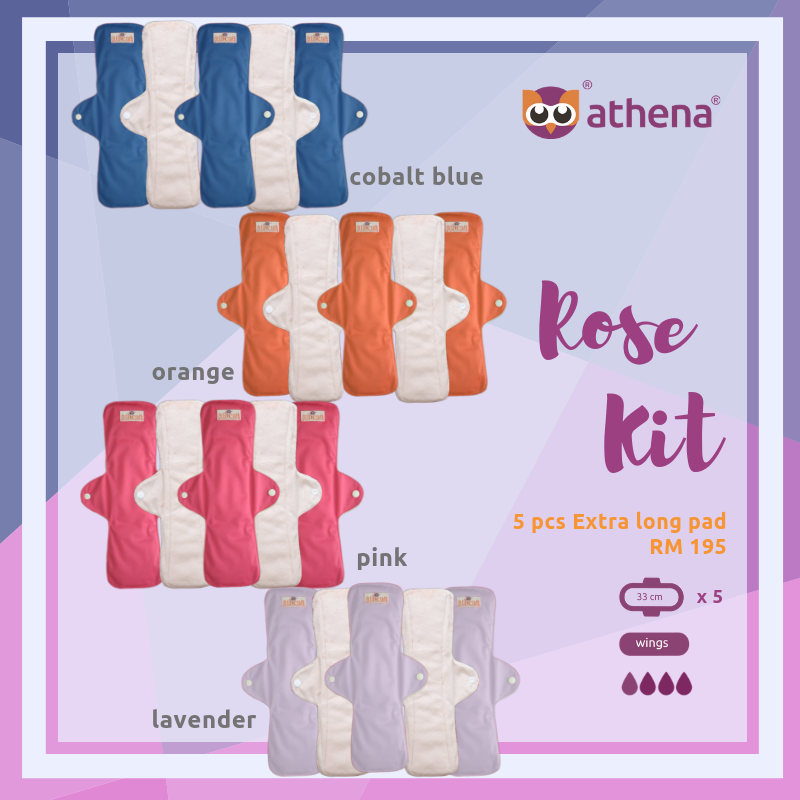 Rose (extra long)is the best companion for mothers, providing them the comfort they deserve. Also suitable for heavy days.Absorption up to 9 hours.Non-allergic to the skin, super soft, safe from chemical gels, easy to wash and remove stains without scrubbing.